LongPost captain Benjamin Lasak has been making deliveries for over 100 years, an unheard-of feat for his fellow postmen. During his time in pre-programmed space travel on the Pelagius, he usually enjoys the solitude, his outdated paper books, and the cryo-sleep, which keeps him looking twenty years old, but when Lasak wants to distract Mic, his floating game console, from her imminent win at their favorite game, he decides to ignore LongPost protocol and follow the suspicious appearance on his screen. Suddenly, Lasak finds himself stranded on a planet both familiar and unique. His first contact is with a sadistic alien known on Earth as Jack the Ripper, whom Lasak inadvertently releases from his prison vault. Lasak and Mic must join forces with Michael Carlin, Jack’s original imprisoner, to recapture Jack before he can destroy this world or worse, return to Earth. Jack Out of the Box is an “Alice in Wonderland” journey down the rabbit hole, a marriage between steampunk, paranormal, dark fantasy, and alternate reality. Jack’s world is a mixture of the old and the new, where Victorian lamplighters and high-tech control panels existent in the same plane. From a village stuck in nineteenth-century England to Elysian Fields where Mother Nature becomes corporeal, every corner presents a new, intriguing environment. However, the planet entrapping Ben’s ship isn’t all fun and games. It is, in part, a dark prison world, where Jack once reeked more havoc than he ever did on Earth, holding and breeding his human victims. The graphic descriptions of his previous violence darken the beauty of the landscape and its mostly rural residents. At times, the description of violence is disturbing, especially when juxtaposed against the idyllic. This complex novel includes both metaphorical and concrete imagery in Jack’s world, including representations of Heaven and Hell, demons, and even Lilith. Jack introduces himself as Bell, but he doesn’t “ring true,” and later the reader will see the destruction of the pristine countryside by Jack’s animalistic creations, a fitting metaphor of man’s destruction of the beauty in the world. Mic’s existential journey to awareness is the real story of the novel. Created by an MIT professor, she is more than just an unbeatable gamer sidekick. The fate-like, “accidental” purchase of Mic seems like a play on destiny, and when she is given her forbidden awareness, Mic steps into that metaphorical area where she begins to question her existence. The exploration of Mic’s consciousness is short-lived but is indeed an interesting discussion; perhaps, it will continue into the sequel. 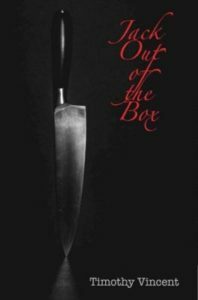 Dark fantasy and paranormal/alternate reality lovers alike will enjoy the unusual world that Timothy Vincent offers in Jack Out of the Box. It’s a journey from which the reader may never wish to return. 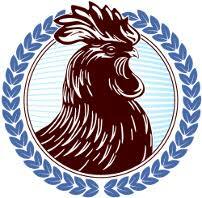 This review was written for Chanticleer Reviews.